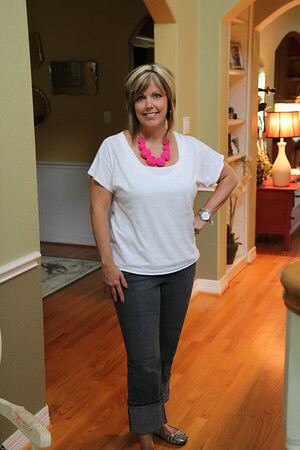 Are y'all ready to take a look at what i wore last week? 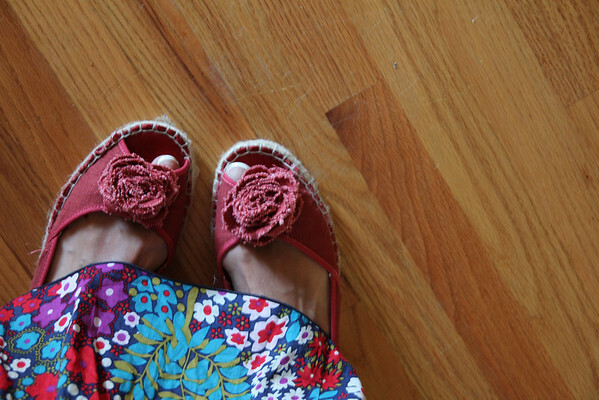 Even though now that i think about it, i realize that might sound strange if you're never read a what i wore Wednesday post before. In a nutshell it's an attempt to get myself together most days in something resembling an outfit, snapping a picture to document this feat and then linking up with Lindsey's blog, The Pleated Poppy (WIWW is her fashion accountability brainchild and she hosts a weekly carnival). 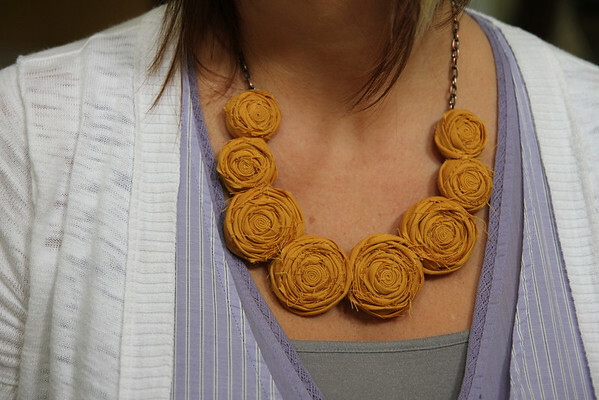 * i'm obsessed with rosette necklaces and dream of having a few or ten more colors. please. * i'm obviously stuck in a rut of posing in the same place and pretty much the same way every week. yawn. * mustard (the color, not the condiment so much) is my bff lately. * it really goes against my grammar nerd nature to not capitalize I. and the beginning of sentences. how do people do this all the time? * wearing dresses is fun. * don't fret, i still wore my cuffed denim shorts a lot too, i just didn't bore y'all with them again this week (you're welcome). Be sure to pop over to The Pleated Poppy for more WIWW fashion fun! You look cute as always! Where are the denim shorts? You've got the turquoise Denissa?!?! Jealous! I don't think I could part with my mustard--haha. Adorable! Makes me need to branch out and get brave and NOT match. Loved them all! 1. You look really slim. Waay slim! 2. 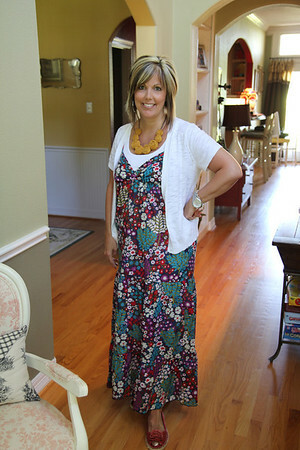 Love the color mustard too, and love the necklace with your maxi dress. 3. And the yellow flats! 4. You look cute in dresses. You look great! And I love the mustard necklace with the dress, the first picture. I think it is fun to not always be matchy matchy. You look cute! Love your blog! Running: A Mini-Progress Report. Of Sorts.